The following article was written by Lisa Pellegrene, and was originally published by Patch.com on April 3, 2019. Renowned photographer Thomas W.P. Slatin plans to honor B & O Railroad Museum and Ellicott Station through his work. American photographer Thomas W.P. Slatin has a passion for urban exploration and locomotive photography, and this love for locomotives is taking him to Baltimore to photograph historic railway sites. His work in photography has led to the restoration of previously abandoned properties and locomotives. Having picked up his first camera at the age of eight which was a gift from his father, Dr. Harvey L. Slatin, Thomas Slatin photographs what he loves, and that includes the many railway stations and locomotives, to include both abandoned locomotives and those that are already restored which appear in various railway and locomotive museums. Thomas Slatin has photographed the Pennsylvania Railroad locomotive #4917, a train that is located in Cooperstown, New York, which he describes as one of his “happiest moments of his photography career,” especially after a collector noticed his images online and according to Slatin, “he called me with interest in restoring this locomotive.” Slatin has additionally photographed many locomotives at the Strasburg Railroad such as Canadian National #89 steam engine which he photographed with his Canon Digital 5d Mark IV camera. He has photographed locomotives at New York Central Station, and at the Railroad Museum of Pennsylvania to include the Maryland and Pennsylvania locomotive #81. Now photographer Thomas Slatin plans to visit the Baltimore area to showcase the beauty and history behind the B & O Railroad Museum and Ellicott City Station through his photographs. The B & O Railroad Museum first opened in 1953, and was originally named the Baltimore and Ohio Transportation Museum. It has been referred to as one of the “most significant collections of railroad treasures in the world,” which holds the largest collections of 19th century locomotives throughout the United States. Its location at the Mount Clare Station is considered to be the “birthplace of American railroading” and part of the oldest railroad manufacturing facility in the United States as well, according to www.borail.org. The Baltimore and Ohio Railroad Museum and Mount Clare Station are listed on the U.S. National Register of Historic Places. Photographer Thomas Slatin, as a locomotive photographer expressed interest in “depicting so much of the beauty and history that the museum” through his up and coming trip to the Baltimore region. “I would love to photograph the Chesapeake and Ohio Railway #490 which is the “last remaining C & O “Streamlined” Hudson” built in 1946, according to the museum. The American Freedom Train, Reading #2101, which according to museum documentation this locomotive was built in 1945, and represents as one of three steam engines used on the American Freedom Train of 1975-76. The American Freedom Train, Reading #2101 was also utilized on Chessie System Steam Specials in 1977-78. There is also a Chessie System #3802 that was built in 1967, which is still operational. “I would love to photograph this as well,” states Slatin, “as it was chosen by Trains Magazine as “An All American Diesel.” The B & O’s station in Ellicott City, Maryland was formerly operated by the museum until 2017. This is the oldest surviving railway station in the United States, as documented by www.ecborail.org. Later this year, the photographs obtained by photographer and writer Slatin, will be available online through his various social media platforms, such as www.instagram.com/tomslatin, where one can currently find many railway and locomotive images that Slatin has photographed over the years. His camera of choice is the Canon 5D Mark IV for a large number of his locomotive and railway station images. Slatin is also a contributor for Getty Images, through iStock. 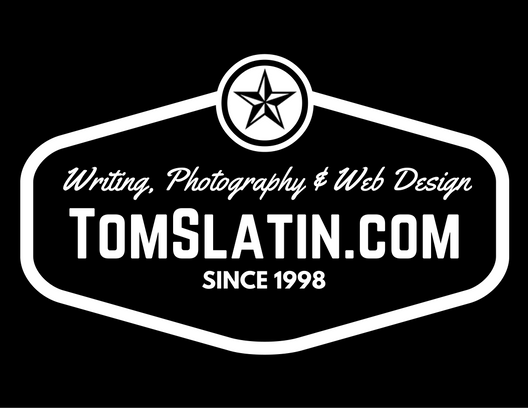 His website is www.tomslatin.com. Thomas Slatin’s father, the late Dr. Harvey L. Slatin was a physicist and an inventor relating to electroplating processes. The late Dr. Slatin would invite his son, Thomas Slatin to go work with him. This definitely sparked Slatin’s interest for all things industrial and of course locomotives. It is really wonderful that you have reached that point in your career where you can use your camera to be able to inspire people to restore things that you love taking pictures of – in this case, the locomotives themselves. Congratulations to a job well done, and hope to see more of your beautiful shots in the future! I love the pictures that Tom takes, especialy the ones of landscapes or places abandoned. I smile all through reading this. Your dad need a good job of exposing you to your passion. I know photography is really your passion. I now finally know where your motivation for locomotive photography came from. Thomas has some great work too just like you, awesome article. This will be a wise thng to do by you. Just honor them then it be on record that there were appreciative and recognized. You are still rising up the ladder. I do find your photographs very impressing and of high quality. Strange enough we still have this in our country. It is used to carry sugar canes during the milling season. So nostalgic. Photography is indeed important for exploration and discovery. Thanks to you Tomas Slatin that I and my generation is able to see old train even if its just a picture. I remember the old train in our hometown that transports sugarcane to a sugarfactory. I remember how our hometown is as busy as the old days but when the operation stopped, so is the livelihood of the most people in our area.